Firefox Alpha 2 aka Bon Echo is officially out. 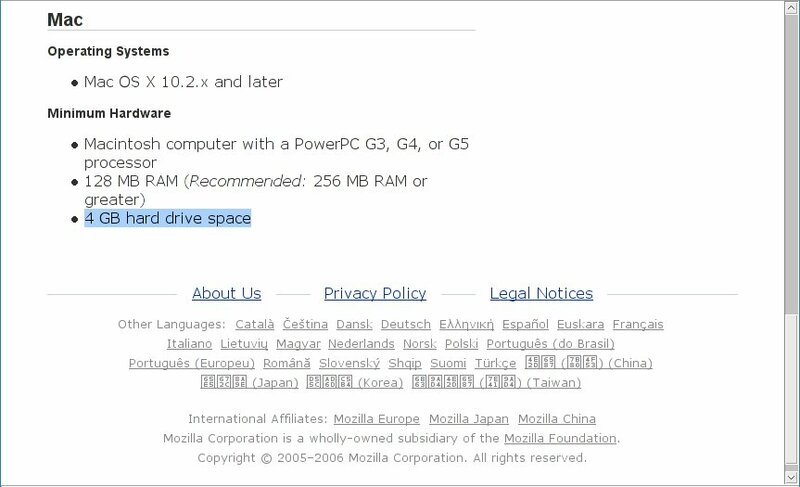 Although the hard disk space requirements for Windows and Linux have increased over time to the present 52MB, its Mac OX X installation requires about 4 GB of space apparantly.....that is definitely a LOT! 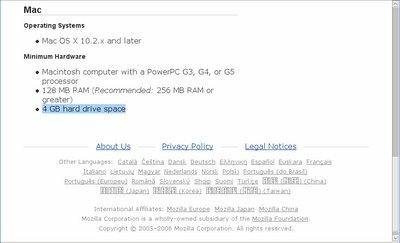 I think I can install almost any operating system today within that space requirement. Since when did Firefox becomes bigger than an OS? hope you are enjoying it!!! sorry, it has nothing to do with firefox alpha 2!! !